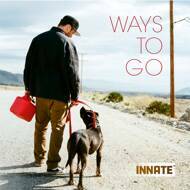 Innate is now at the helm of his blossoming solo career and has reemerged with Ways To Go. Entirely written, produced and recorded by Innate, the new project is his first solo effort and an attempt to make his mark on the culture. Featuring sample-heavy production and infectious yet conscious hooks, Ways To Go veers slightly away from the mostly optimistic tone of Such As I, delving deeper into Innate’s personal life and experiences with loss, self-awareness, and what it means to be an artist. In a world where unrelated singles seem to flow endlessly off the conveyor belt of mainstream music, the seamlessly woven nature of Ways To Go is a breath of fresh air. It’s ultimately a narrative commenting on everything Innate has learned over the years, as well as an acknowledgement he still has a ways to go. With a wealth of experience behind him, he understands the journey is the lesson and the lesson never ends.